Organisations can be compared to a human body that grows, develops and changes in size, height, strength and physique over time. Some aspects you have control over, while others are in Mother Nature’s hands, but what we know is that change is inevitable and highly necessary for companies to stay relevant and meaningful in today’s society. Leaders must have their ears on the ground to pick up the changing landscape in their organisation and teams; continuously making modifications or realignments at a superfast speed. We know that change is inevitable; however, the common dilemma that organisations face is that the speed of change is too slow. 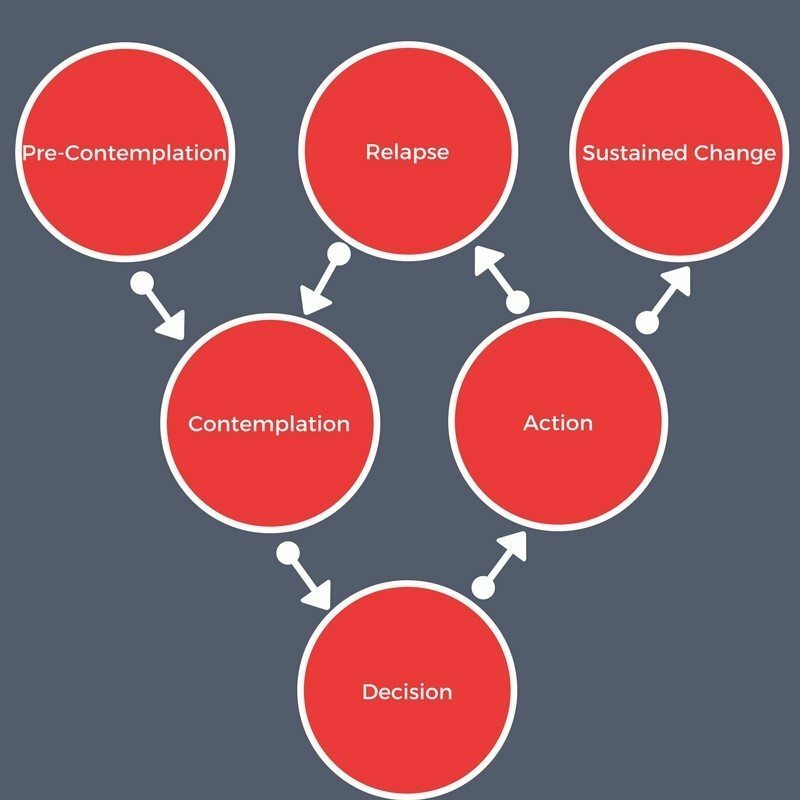 This can cause it to become ineffective and outdated by the time it is fully integrated which leads to the change cycle repeating itself – a vicious and energy draining loop. 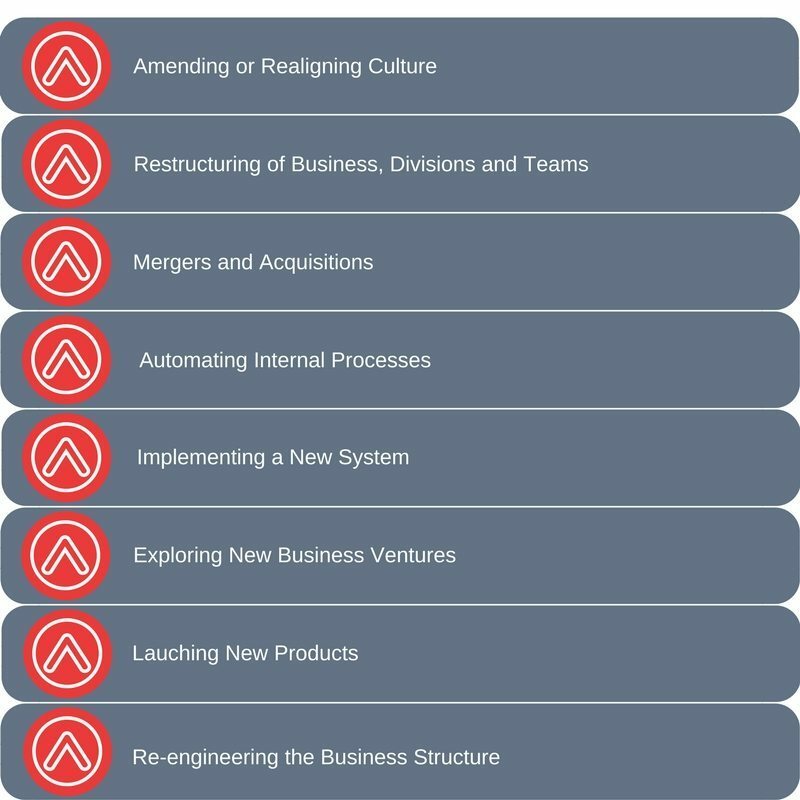 These are business stages that have a profound impact on an organisation but mostly on its people. However, what usually happens is that organisations firmly believe that they can manage the change alone and that once the change management plan has been designed, the people will adapt seamlessly. This strategy often backfires as people become resistant, uncooperative, unproductive and demotivated as they weren’t included in the organisational change management process from the start. Your people are your business, and leaving them out or behind will cost your organisation dearly. We have heard it a gazillion times that change is difficult, takes time and has an 80% chance of failing. Anybody who has tried to implement a permanent change in their personal life can vouch for this. To sustain change, two key aspects have to permanently happen. Firstly, we need to shift our mind-set and think about the change cycle in a positive, opportunistic and joyful way. Secondly, we need to internalise the behaviour and thoughts until they become part of our natural being; both of these take time, commitment and continuous attempts. The same principles apply in organisations albeit in a more complex and difficult way because of the amount of people. We cannot expect people to assimilate and internalise the organisational change without fully internalising and buying into the process. In organisations there will be the early adopters (about 13%) who quickly try out something new, adjust and embrace the change. Followed by the early majority (about 34%) who are co-operative and accept and adjust after a short period of effective communication. It is the late majority (34%) and the laggards (16%) that are more sceptical to the change and need more time, and more communication and who often halt, delay and complicate the entire change process. Pre-contemplation: Before any actual change has occurred, it’s necessary to raise people’s awareness of the need for change. By using knowledge, facts and information one can highlight the potential shortcomings if change is not implemented speedily. Contemplation: Further evoke reasons to change and the risks of not changing. Addressing questions raised, concerns on work security and safety, benefits for the organisation as well as the employee and lastly contemplating ideas or alternative solutions. This stage is very important as it reduces resistance to change; it can take time and should not be rushed. Decision-Action: Working with leaders and people to commit to a goal and courses of action to drive change. Breaking down the change process into bite size chunks with very specific measurables to determine progress. Intense and ongoing communication and feedback becomes crucial at this step. Relapse: Not all suggestions and ideas will be fruitful; likewise people will waver with their conviction and commitment at times. There will be relapses into old patterns, behaviours, and ways of doing things, and it’s important to have earmarked champions that can support and motivate at this stage. Sustained Change: The change has either become habitual or there is a successful maintenance strategy in place. After the sustained change has become second nature and new employees are already inducted with the new change, the cycle has been completed and the change management project can officially be terminated. 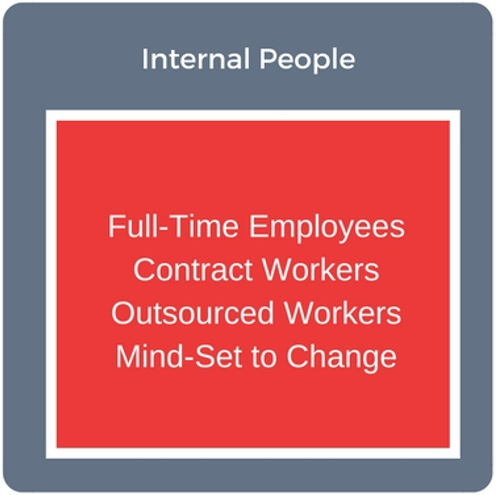 When organisations change all four components are directly affected, however the leaders and the people have the most weight. In the 4Seeds model and service offering we will assist the organisation in integrating all four components effectively and successfully. In this bespoke offering we partner with you from the onset and co-design the change management strategy with you. Therefore, ensuring that “the nine steps of why change management fails” do not take place in your organisation. 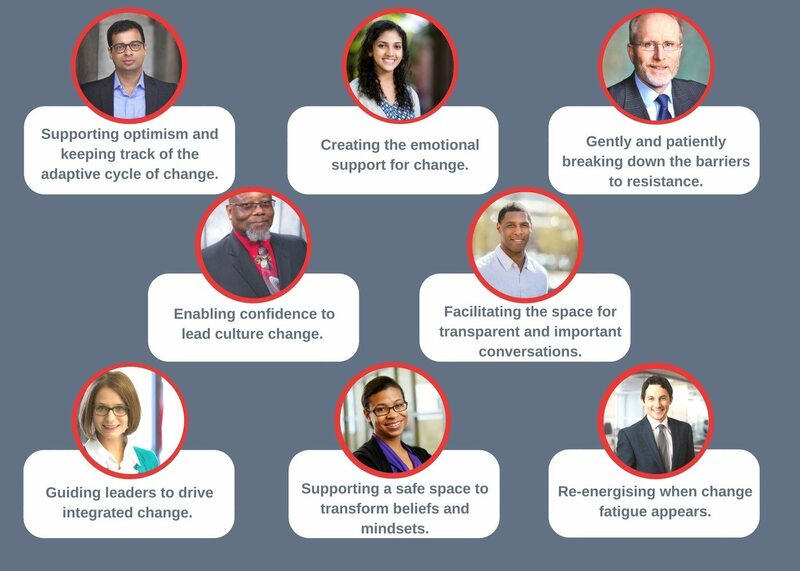 4Seeds will provide expert guidance, facilitation of the candid conversations needed to ensure a change culture is felt throughout the organisation. Once the plan has been co-designed we don’t leave you here but walk alongside your leaders, empowering them to be change agents and confidentially and effectively roll out the change in their teams. This offering is a holistic change and transformational process which is strongly recommended. It benefits the organisation to have a neutral sounding board to bounce ideas off, which is not clouded by emotional attachment to the outcome. This means your change can be facilitated and ensured through supportive and expert facilitation. 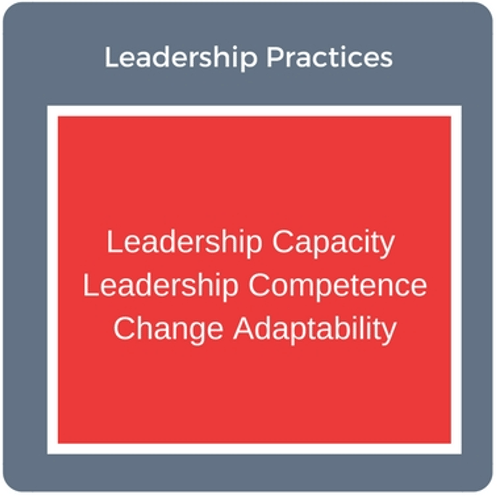 This list is not exhaustive; however, it paints the picture of the depth and scope of support leaders and team managers receive from 4Seeds during a change management process. We take the angst away from the change process and make it part of the norm. If you are considering any type of organisation change and feel that the upcoming process daunting and overwhelming, let 4Seeds stand by your side and walk the way with you. We understand what to do and what not to do. Contact us and let us support you. 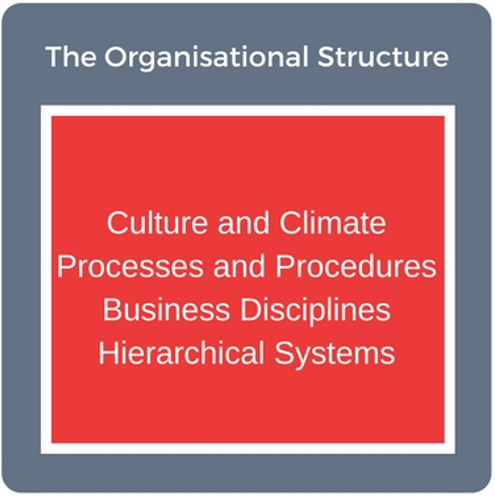 There are many models and theories in existence relating to Organisational Development and Change (ODC). Although 4Seeds is well versed in many of the ODC models, we are advocates of the philosophy of strengths-based change. This means that we explore the organisation’s and people’s strengths, and what you naturally and collectively do well, and then we expand from there. When we focus on the weaknesses in the current organisation, we limit the growth and development that is possible. It is in your strengths that we leverage transformation and optimise the change process. When 4Seeds partners with you in transforming your organisation, we become part of your team and company culture with a specific change portfolio as our mandate. 4Seeds facilitates change through these seven steps. It’s tricky to implement change in a planned and structured way, while keeping it fast and efficient. Either we take too long to implement it and have to go back to the drawing board, missing the window of opportunity, or we react too quickly without giving enough thought to how it will influence all levels of the organisation. In this last scenario, the people in the organisation are usually impacted negatively and become more and more resistant to change. The concept of “once bitten, twice shy” becomes a reality. Another reason organisational change fails is because leaders usually apply developmental change which is incremental, linear and planned. However, change never occurs in a straight line; and it is naïve to expect this to occur, especially in an organisation. When faced with radical transitions, leaders are often unaware of another way to deal with change and this is when transformational change is vitally necessary. People accept, adapt and implement change at different speeds. We have the early adopters, then the majority, and lastly the laggards. Organisations have to be able to manage, support and encourage all levels, but issues arise when they expect their people to change at the speed set by the leaders, although they have had months of preparation and involvement during the planning stage. People need to talk through change. Often, change has a direct impact on the systems, the team structures and the specific tasks expected of employees. It is thus natural that they want to protect themselves at first. Communication becomes scarce during times of change, whereas it should be quite the opposite. The value of work goes far beyond a monthly pay cheque. People need to visualise how the change impacts their future growth and development opportunities. Naturally, the change should make business sense but it must also make personal sense for all involved. People often feel that they have to adapt to the change in a personal or behavioural manner. People don’t mind change, but they do mind being changed. Take them along on the journey and involve them as often as is possible. Explain the reasons, the benefits and the various options considered for the change. People are often informed on a need-to-know-basis whereas they what they actually need is to see the bigger picture. Engage them in simple, honest and consistent communication that highlights the full outline of the change, then people can engage with it and the process should speed up exponentially. Change requires dedication, focus and commitment. It’s a strategic project that requires everybody’s input and attention. 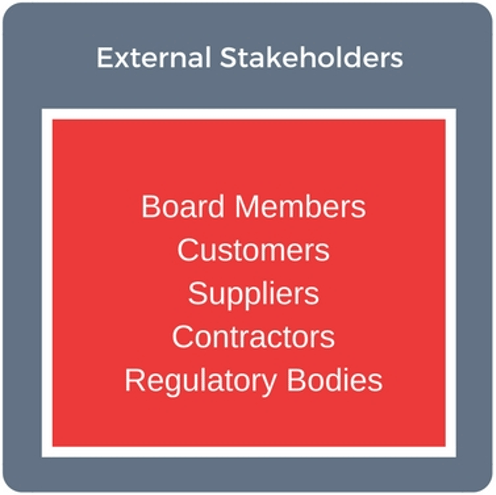 Organisations are seen to run it on the side of their mainstream business which means that we have one eye on change and the other on operational work. That approach can go horribly wrong as it will not get the attention it needs to succeed timeously and efficiently. Communication must be clear and consistent without adding, amending or leaving anything out. Mixed signals will result in confusion, mistrust, uncertainty and disengagement.